LONDON – Applying a tax on securities lending will destroy the industry by making more than half of all lending transactions economically unfeasible, with the negative effects spilling over to nearly all other financial activity in Europe. Over the weekend the UK-based International Securities Lending Association (ISLA) released a new report showing that a tax on financial transaction in Europe would nullify the profit margins on 65 percent of all transactions taking place on the securities lending market, reducing the industry’s profits by more than EUR 2 billion per year. According to the report, the fees charged for securities lending will need to rise by at least 400 percent in order for the industry to maintain its current level of profitability. 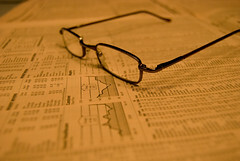 LONDON – The UK government may soon look at taxing automated trading of stocks and equity. 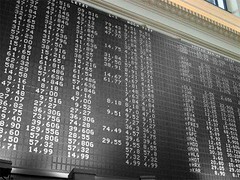 On July 25th the Business, Innovation and Skills Select Committee of the UK House of Commons released a statement urging the government to assess the potential impact and feasibility of implementing a financial transaction tax (FTT) on high-frequency trading (HFT) of publicly listed stocks. The Committee called for a financial transaction tax to be set “… at a level which is the average profit made on a high frequency trade in the UK”, but concluded that further investigation would be needed to identify and addresses the difficulties of enacting the measure unilaterally without diminishing any benefits arising by HFT. MILAN – Transaction taxes reduce liquidity on financial markets, and governments should look at other alternative measures for taxing financial activities. 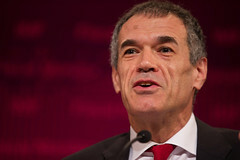 While speaking at a conference in Milan on July 15th the director of the Fiscal Affairs Department of the International Monetary Fund (IMF) Carlo Cottarelli said that a tax on financial transactions is old fashioned and “… in general, is not so sensible”, with more efficient options being available to improve the stability of financial markets. BRUSSELS – The European Commission has laid out a set of suggestions aimed at speeding up the implementation of a financial transactions tax in Europe. 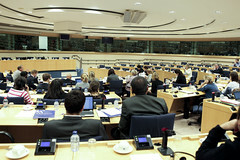 While giving a speech at the European Parliament on July 3rd, the Commissioner for Taxation of the European Commission Algirdas Semeta said that the highly debated financial transaction tax, which is being proposed in Europe, may have to be scaled back in order to guarantee it will be implemented in the near future. According to Algirdas Semeta, the European Commission is now ready to consider amending the tax by lowering the rates applied to transactions involving “specific market segments”, especially sovereign bonds, pension funds and intra-company transfers. BRUSSELS – The European Parliament has agreed to support the implementation a financial transaction tax in Europe, but has offered suggestion for how to improve the tax. 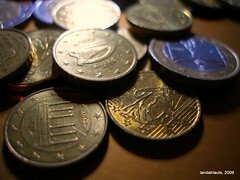 On June 18th the Economic and Monetary Affairs Committee of the European Parliament voted and agreed to support the implementation of a multinational tax on financial transaction in Europe, a proposal which is currently in front of the European Commission. Currently 11 countries of the EU are jointly working towards enacting an international tax on financial transactions, which is expected to be set at 0.1 percent on all trades involving stocks or bonds, as well as 0.01 percent on trades involving derivatives.